This interview was originally published on Terra Relicta Dark Music Webmagazine back in September of 2015. Tomaz has been kind enough to allow me to re-publish this interview on This Is Darkness. 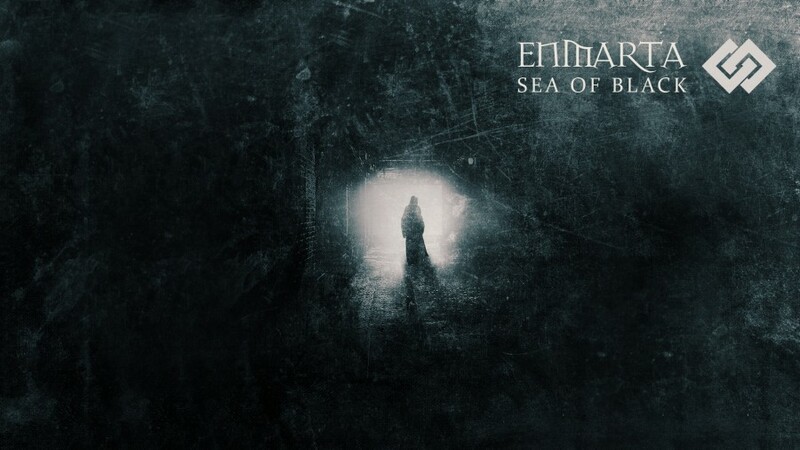 Back in 2015, Enmarta had just landed on the dark ambient scene. 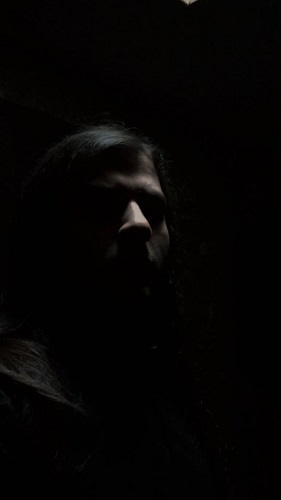 His debut album Sea of Black took listeners into a brilliant world of dark ambient blended with authentic classical instrumentation. The album quickly became a lauded addition to the Cryo Chamber label. 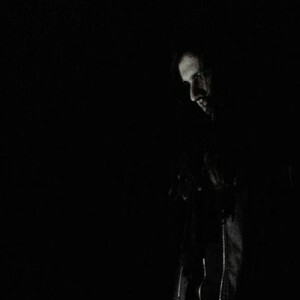 Since this interview, Enmarta has released his sophomore album, The Hermit which went even further in realizing this neo-classical / dark ambient amalgamation. Michael: Where exactly are you from, and how does that influence your music? Siegfried: Well, I’m from Reggio Calabria (South Italy), a small city for “small” people. It is easy to be imprisoned in yourself here and that’s because there’s no one who could understand your message. At least I have some friends with the same interests, but try to imagine a society who couldn’t catch what you have to say – even if you play indie or pop rock, now try to imagine it interfacing with dark ambient… This says it all. Michael: What instruments did you play yourself for Sea Of Black? How did that effect your take on a dark ambient album? Siegfried: My gear consists of a simple midi keyboard, a simple handmade Indonesian flute, a glockenspiel, bells and my viola. Everything treated with FL Studio and Reaper. This is what I use for Enmarta. I think I will expand my gear to different other instruments. I was just thinking about a string quartet for my second work! But we will see, I need time to study this combination. Michael: Do you compose in any other genres? Siegfried: Yes, of course. Actually I’m working for a black metal project of mine, but at the moment I’m too busy with my music studies that keep me in hours of seclusion. I also play keyboards in a melodic death metal band called Memories Of A Lost Soul. Michael: How did you discover dark ambient music? Siegfried: I have listened to black metal for a long time, since I was younger. Between songs we would always find some dark/obscure interludes and I think you must be wondering on how this could focus on my discovery of dark ambient music. Through time I just did some research and I just discovered that it was simply a genre within a genre. That’s how I discovered dark ambient music. Michael: Do you ever perform live? Do you see live shows as a fitting way to spread the word about dark ambient, and your own album in particular? Siegfried: I never perform live and it’s a pity. Of course it is a wonderful way to spread the word, my word. I can’t do anything here, I’m just locked, but I hope to make something great happen in the future. Maybe a performance for closer friends, who knows? Siegfried: I just wanted to introduce my music to a large number of bright and able people. Cryo Chamber seemed the most suitable way to spread out my passion. At first it seemed a dream to me, but then I just asked Simon Heath if it could be possible to make this dream come true. Now I’m here. Michael: How has your experience as an addition to the Cryo Chamber roster affected you? Siegfried: It has been a joy to see my name and my face alongside those of many other composers who have given something very relevant to the world of music and I’m still very excited about it. It is not so easy belonging to a particular group of people. Michael: Did you have a specific concept in mind, when starting this project, or did the concept and feel of the album change as you produced the tracks? Siegfried: I just started this project as a bridge to my soul. I try to express what I have inside through a language that helps me a lot, MUSIC. I find no other way to make you understand how much I hate mankind and how I wish to see it rot. All my tracks have a specific message inside, but it is up to you to figure out what kind of message. Michael: How do you feel about the dark ambient scene as a whole? Has it seemed very welcoming to you or has it been a struggle to gain recognition amongst so many veteran musicians? Siegfried: It was not difficult to open a way in the scene, I thought Sea Of Black would have been a flop, and instead I received hundreds of compliments even from very important people in the scene and now everyone asks me what’s in store. I think it is a very warm welcome. Michael: What are you currently working on musically? Do you have another dark ambient album in the works, or will you be focusing on other areas of your life? Siegfried: I’m currently working on new sounds. I think I’ll bring this project with me, in my grave, one day. Michael: If you could tell fans one thing about yourself that you find interesting and they may not know about you, what would it be? Siegfried: I am a fetishist. Michael: Do you have a strong connection to ancient Italian civilizations? Do you ever visit ruins, which ones if so? Does this deep Italian history play any role in your music? Siegfried: I have a strong link with the past of my nation and its traditions. I live on the same land where the first Greeks set foot to give life to what was once called the Magna Græcia, now called Calabria. The same land that for us has become synonymous with corruption for them became a land of hope. Many ruins and tools were still preserved in the best possible way, many others lost forever or simply not brought to light yet. We still have a lot of ruins scattered throughout the region: Caulonia, Gerace, Locri, Vibo Valentia, Nao and so on. I suggest that you visit these magnificent places, it’s a real ancestral throwback. In conclusion, my final answer is YES: my music is dedicated to my ancestors, as well as the stars which combine themselves to give life to a new galaxy. Our ancestors gathered with all their forces to give us a future, a floor to rest our feet and all my prayers and passions are devoted to them.